Peter Miller is one of a few contemporary practitioners of Photogravure printing in a semi-abstract style combining the 1830 originally developed photographic printing process with Zen minimalist aesthetics. The high quality of Photogravure prints is derived from photographically sensitive deeply etched copperplate, printed with intaglio inks transferred onto damp fibers of hand-made papers of Japanese washi, then run through a press to transfer the ink from the plate into the paper fiber. The variety of depth created within the etched surfaces holds the ink to create luminous highlights, deep shadows within shadows, and an incomparable variety of textures. 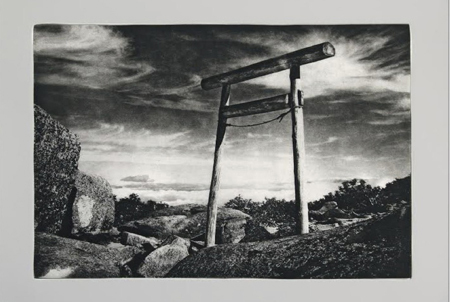 Peter Miller finds in Japanese culture, history and nature abundant resources for his photogravure prints. Through his travels and exhibits, he extends these observations to other countries, seeking Japanese-style imagery even overseas. The images shown in this exhibition were taken over a 10 years period while in Japan. The elements of intaglio -- ink, etching paper, and copperplate -- are simple, yet they enable the wonderfully tactile surfaces of oceans, clouds, rocks, temples, bamboo, and trees to come alive. 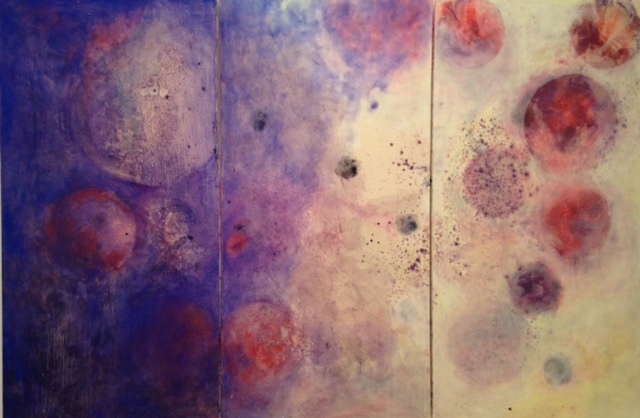 Each grain impressed into the fibers of hand-made etching paper. Closeup or far away, they stimulate a renewed sense of the variety of our visual world, a hint of the higher reality in our everyday lives. Peter Miller was born in Pennsylvania, U.S.A., and currently works and lives in Japan. His prints are collected by the Kamakura Museum of Modern Art in Japan, Sackler Gallery of the Smithsonian, National Museum of American Art, Fine Arts Museum of Houston, Gilkey Center for Graphic Art in US, Bibliotheque National de France, Musee des Beaux-Arts de Tours in France, Istituto Nazionale per la Grafica, Rome in Italy.